Entering the tunnel, we passed the first security door, noticing that all of the bulbs lining the wall were unlit. It seems that someone had closed all of the security doors behind us when we had returned last night, likely to be OROTHO as he was the most security conscious out of all of us. The first security door stood strong and fast before us, unlit UOPETA flipped the lever on the control unit, whereupon it slowly began to slide into its little niche in the wall. The first light near the lab-side tunnel entrance would now be lit, indicating that the first door was now open. It was a marvellous method of ensuring a high level of security was maintained for gaining entry into the base, but it was way beyond the level of understanding that I could endure. All I had to do was look at a mess of cables, wires and circuit components and I would switch off. It's a good job we have talented people like OROTHO and Joe on our side to help us. "How many portals do you think SERVERE has managed to destroy since we handed over the map and glowing stone to him?" "Well, that depends on a lot of things. He's only one man, he has a suit which can supposedly enhance his movement and agility, not to mention make him almost completely invisible, and he's likely to be familiar with the locations as he drew up the map. Those are a few points in his favour. However, he may be being watched by HoN Co. which may slow him down. He may even be monitored by members of the same Elite group as him." "I've actually been wondering in what capacity SERVERE actually aids HoN Co.... Does he scout out potential areas himself, reporting back to them if he finds anything, or do they send him out once they've performed their own preliminary searches...? If it's the former then he may waste resources by pretending to have found us which inevitably turns up nothing." " I don't know... Does it really even matter how he goes about it? So long as he keeps them distracted for as long as is required to keep us safe, I don't see how his methods of doing so come into it..."
"They matter to me! What if SERVERE is a double agent but is actually playing us for fools? He could be on HoN Co.'s side, pretending to actually be on ours, but in reality his loyalties remain with HoN Co.!" "What would SERVERE possibly have against us for him to betray us like that? We haven't done anything wrong or immoral to him, before or after his capture by HoN Co.! As far as I'm concerned, SERVERE has no reason from us to turn to the other side..."
"I don't know... Greed... Personal gain... Maybe HoN Co. offered him something that would be worth a lot to him..."
"I knew SERVERE quite well, and I highly doubt he was bought by HoN Co. through some form of enticement or offering." "Well, we'll find out... Sooner or later, we'll find out." We continued past all of the security doors, following the tunnel down and around to the North West, getting closer and closer to the tower, whilst remaining completely undetected. "Well, looks like we've made progress. Look!" 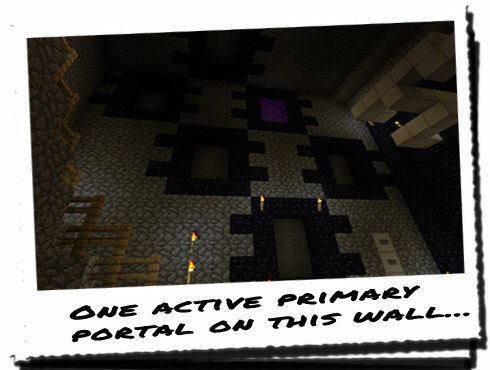 Looking at where UOPETA was pointing, we examined the left-side wall, noticing that only one primary portal was active. "Brilliant! What about the other side?" Making our way down the remaining steps, we headed past the large pillar in the centre used to hold up the conducting rod, and over to the other side. I had purposely lowered my hopes, assuming that the wall would be full of active portals. 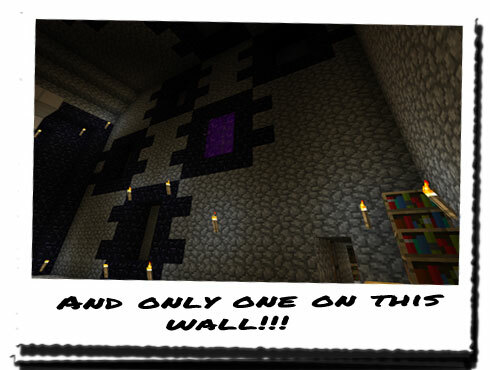 But to my relief, only one portal was active on this wall as well! Keeping the celebration to a minimum, we headed towards the portal data room to look for anything that might help us, or even SERVERE.But we didn't get very far; UOPETA activated the switch to open the door, but it remained locked. Looking slightly confused, UOPETA tried again, but the door didn't budge. We all turned around, blowpipes at the ready, just in time to see an Elite suit shimmer into view from the wall. We maintained our defensive stances until the faceplate parted to reveal SERVERE's face. "Nice way to say hello..."